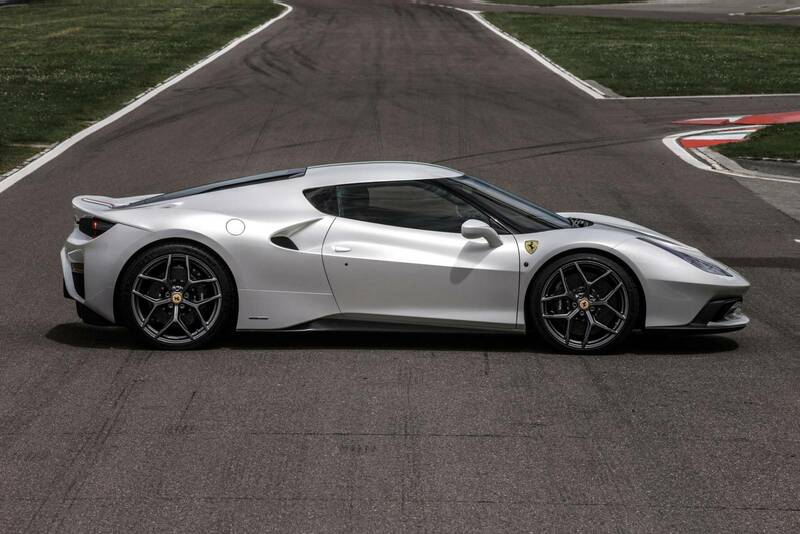 Ferrari’s Special Projects division just revealed its latest one-off model today, the Ferrari 458 MM Speciale. 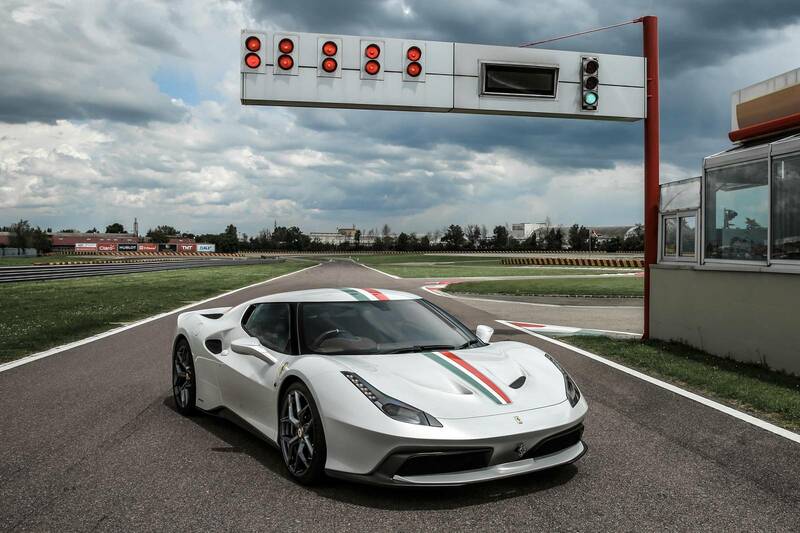 This 458 Speciale is designed for a British enthusiast and combines the 458 Speciale with slight features of the heavily anticipated Ferrari 488 GTB. 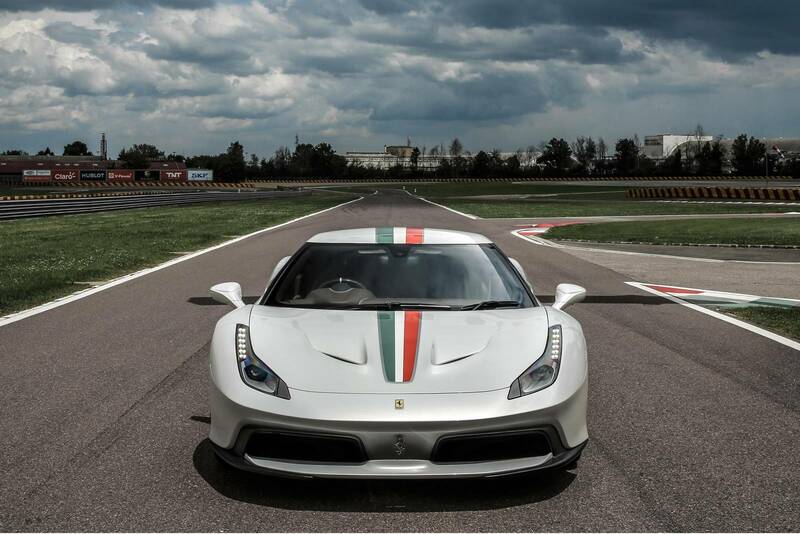 The Ferrari 458 MM Speciale was crafted by the Ferrari Styling Centre and is named after the Ferrari 375 MM, a car which competed in the Mille Miglia. Finished in Bianco Italia (White) and outfitted with a traditional Italian flag really gives this rare Ferrari specimen a nice touch of Ferrari history and culture. 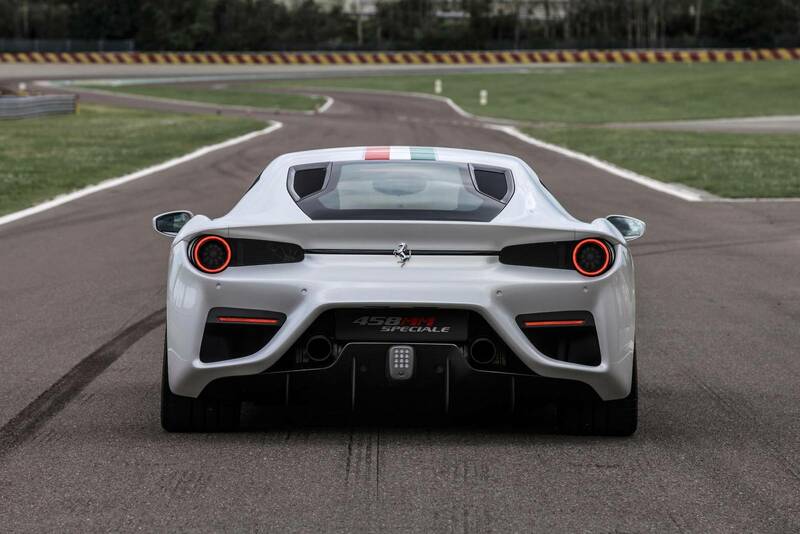 Ferrari added additional air intakes and a new spoiler to go along with the carbon-fiber front and rear bumpers. Overall the design is much more aggressive than a normal 458 and it’s safe to assume the owners of those cars will now have something new to aspire over.